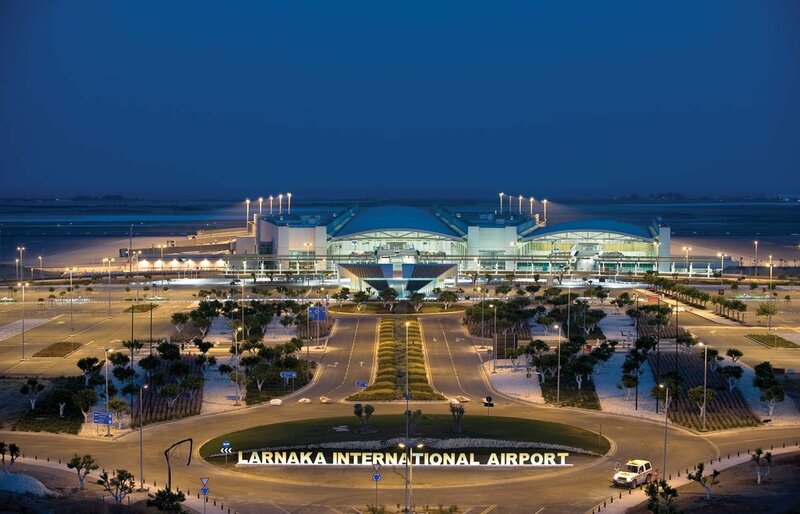 Larnaka International Airport is the second airport which is based in Cyprus. The airport is located few kilometers outside Larnaka city center and has been constructed just after the invasion of Cyprus in 1974. Since the main airport in Nicosia has been destroyed during the invasion, this airport has been constructed as the replacement one. Since the new airport was created, the company who started using it was Cyprus Airways which has now been renamed to Cobalt. Nowadays Cobalt started creating more flights from both Cyprus airports and to different destinations around the world. Since the time Hermes took the ownership of the airport, there were many changes. Both in the structure of the buildings and in the staff members who were working in the airport. The main entrance of the airport is on the upper level and on the ground floor includes a second terminal for VIP people who are travelling to different destinations. The main architecture of the building has been created from french architects, but then the airport has received a huge upgrade which made the airport as it look nowadays. Since the airport has been created, another terminal has suitable for cargo and being able to handle more passengers. As already mentioned above the airport, every year many passengers are who are visiting Cyprus either for holidays or business, are able to travel to and from Cyprus. The airport provides a wide range of destinations where you can fly to and of course it also provides a wide range of destinations from you can flight from. This gives an important boost in the economy of the country people from all over the world be able to access the country easily. Recently, many airlines created more flights to and from Larnaka International Airport since the airport it now able to accept more passengers hence more flights. If you are planning your holidays to Cyprus, you can check out any flights to/from the airport by clicking the link as below. Taxi Vangelis & Son is ready to provide you with the best possible service. Book your taxi to/from Larnaka International Airport to the specific destination you would like by clicking here! For prices to and from Larnaka International Airport, please check our home page here!